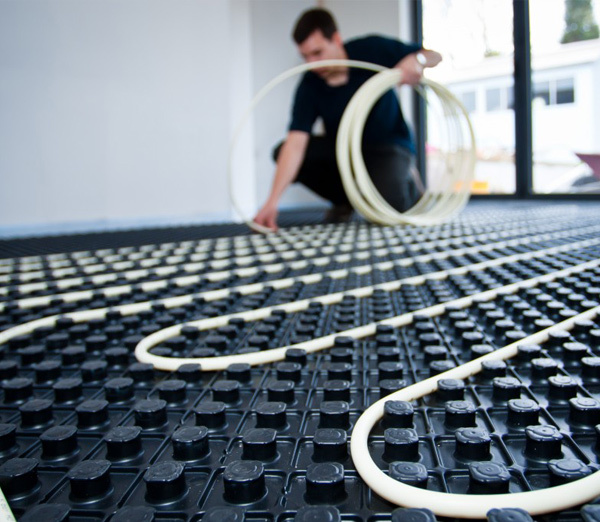 With our experience in acoustic flooring, we have been able to develop a high performance underfloor heating solution with appropriate acoustic properties from our UKAS range. The mission was to design a range of systems which is as versatile as possible, taking into account the inconsistencies with floor joists in older properties, but with underfloor heating at the forefront. With this collaboration of two systems, we are able to cut down on installation trades, by merging traditionally two trades into one, in thus speeding installation times and making the process more efficient for the house builder “Main Contractor” or Self Builder.